I was pretty fired up about their brand of Space Rock ‘n Roll and remained that way over two cassette releases and their first three official albums. 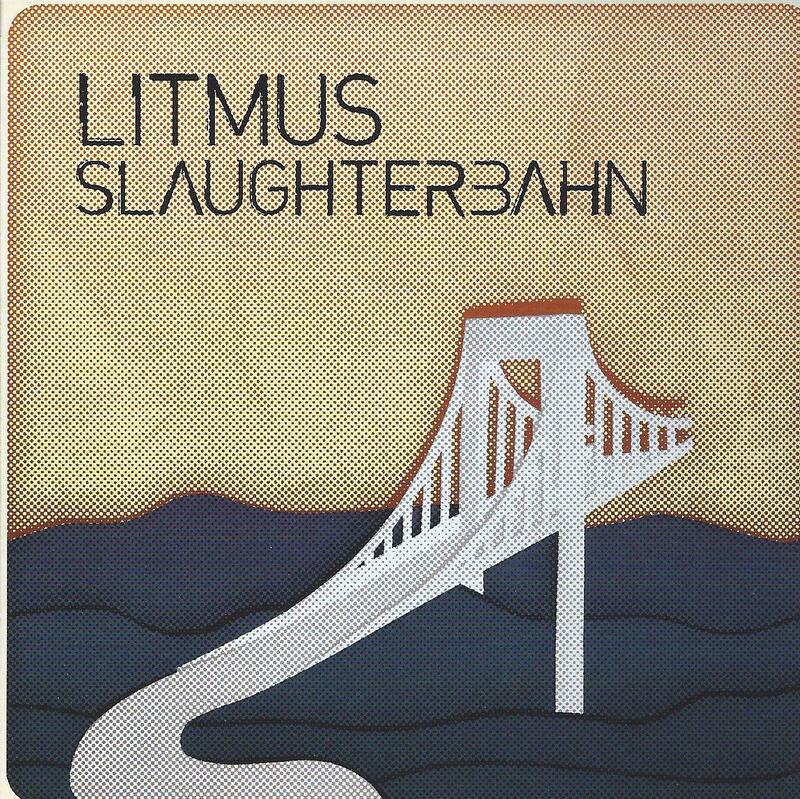 The first thing I noticed about Slaughterbahn is that there aren’t any particularly lengthy tracks. But that’s just an observation by the old time Proghead in me. Litmus are really more about structured songs than multiple thematic transitions because they are, at their core, a rock ‘n roll band with Punk and Metal influences and a deep space aesthetic, utilizing Mellotron and synths and lyrics that speak to the stars and beyond. Slaughterbahn consists of 12 songs, clocks in at 47 minutes, and left me gasping for breath, the album playing mostly non-stop throughout with few breathers in between. Litmus come barreling out of the starting gate with Deeper. The guitars are blazing, the Mellotron provides its trademark singing strings, and we’ve got waves of space synths. I love how the guitar solo increasingly rips as the Mellotron rises to ear-splitting pitches along with it. Without missing a beat the band launch into the punked out Space Rock ‘n Roll of Spark. It’s got cool guitar solos and Litmus pack a knockout punch, ending on a spaced out metallic slam dunk. And then BOOM… they roll directly into the speedy Punk-Space-Metal of Breakout. And that’s what this album is about. The band do take some detours. Static provides the listen with a breather, being one of the slower paced yet still intense songs of the set. And the music on Streamers has an almost New Wave-ish feel, making a cool and interesting contrast to the rest of the album. But this is primarily classic Litmus styled Space Rock ‘n Roll. Satellites is a highlight. I love the way these guys combine aggressive guitar chords, Melloton and synths. Last Man Standing is a wee bit different, serving up Space Rock ‘n Roll with Metal and classic Psych rock infusions and a jam section with a freeform feel. Sleepless took me a little by surprise, starting off like Doom Metal, but then the Mellotron and synths join in and SMACK!! !… it’s rocking Space-Punk-Metal, later ending on the ominous opening Doom+Tron theme. Very cool. In summary, Litmus STILL got it. If you like your Space Rock song-oriented, heavy rocking, yet deep in space, this is for you. As the banner says when you open the CD case, and is repeated multiple times at the end of the title track – “Always changing, Always the same”. This is adventurous yet highly accessible Rock ‘n Roll from the cosmos. And Litmus continue to sound like Litmus… not many bands really have their own recognizable sounds these days. The last two albums were on the Rise Above Records label and with Slaughterbahn the band are back to self-releasing so I’m crossing my fingers they don’t suffer significant distribution setbacks. They deserve the exposure.